I have had a bottle of gin sitting in my bar area for a while now. And I will admit, I mainly bought it for decoration cause it’s just such a nice bottle. 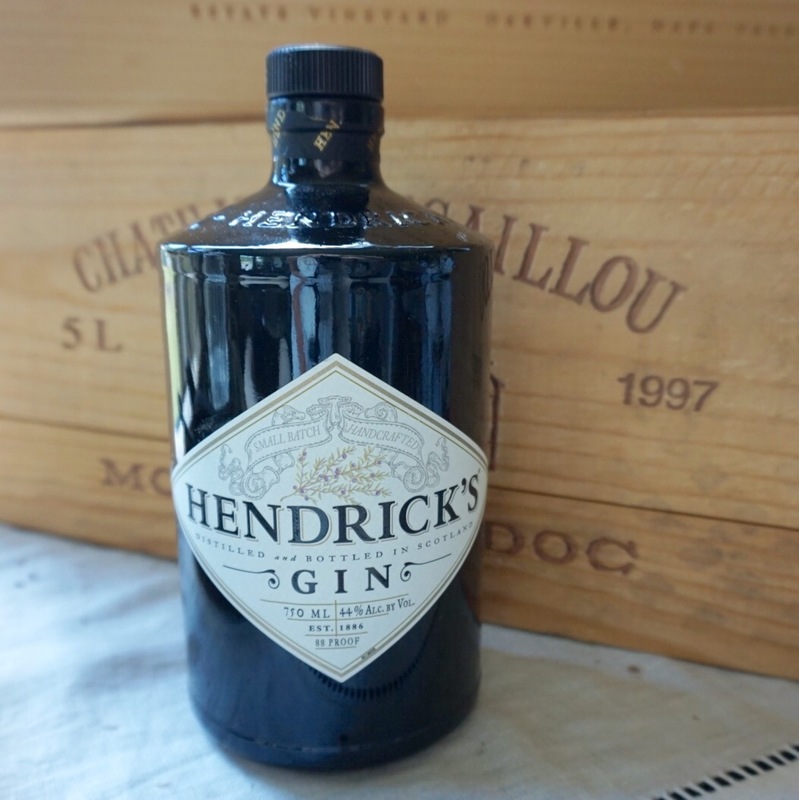 Well, lately I’ve really been wanting to find a drink that calls for gin. Not being a big fan of just the plain gin and tonic, I needed something with a little more flavor. I always see pics of blueberry, raspberry, basil, rosemary, and everything else in between being mixed with the basic gin and tonic. 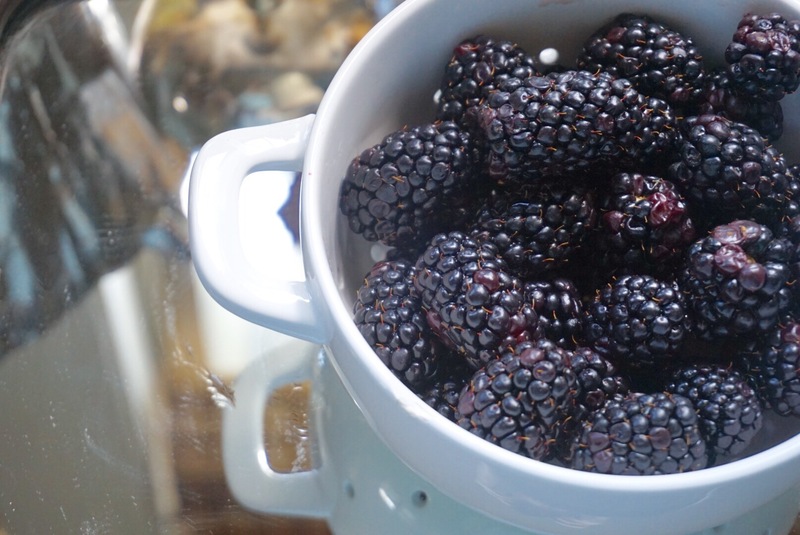 Well, I always have lemons on hand, and currently had a big bowl of fresh blackberries sitting on my counter so I decided to use those as my add-ins. Any recipe that I can use fresh fruit in is a winner for me. Now, the good thing about a gin and tonic is that the base of the drink is already there; gin and tonic. 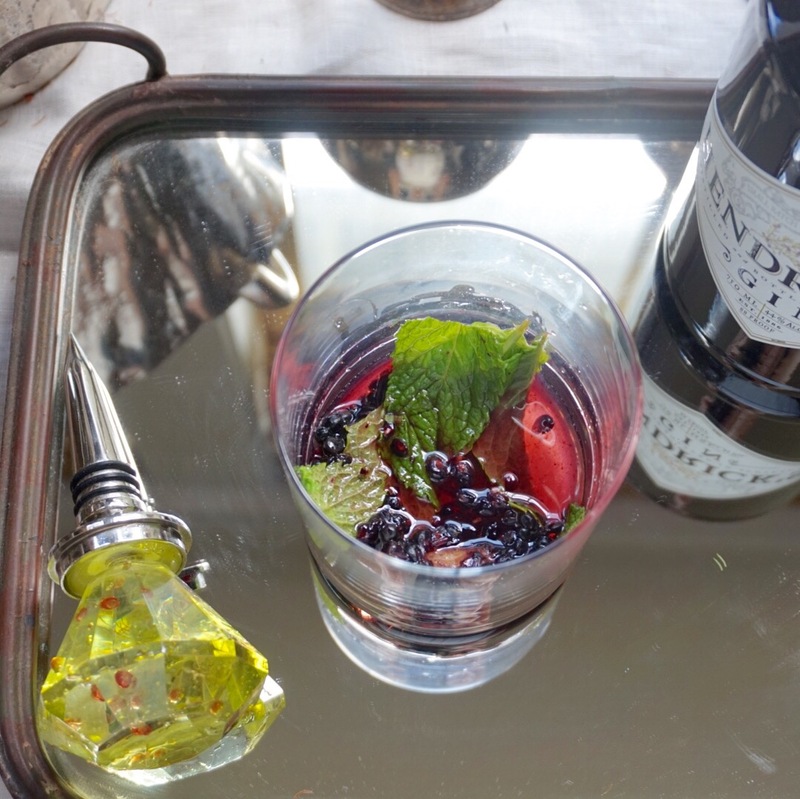 If you prefer another berry over blackberries or a different herb over mint, then use whatever your boozy heart desires. I, however, love the collaboration in this one. 2. 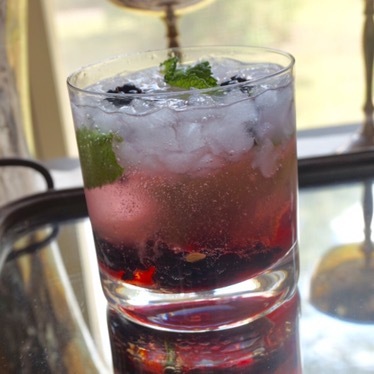 Place berries, mint, syrup, and lemon juice in glass and muddle together. 3. 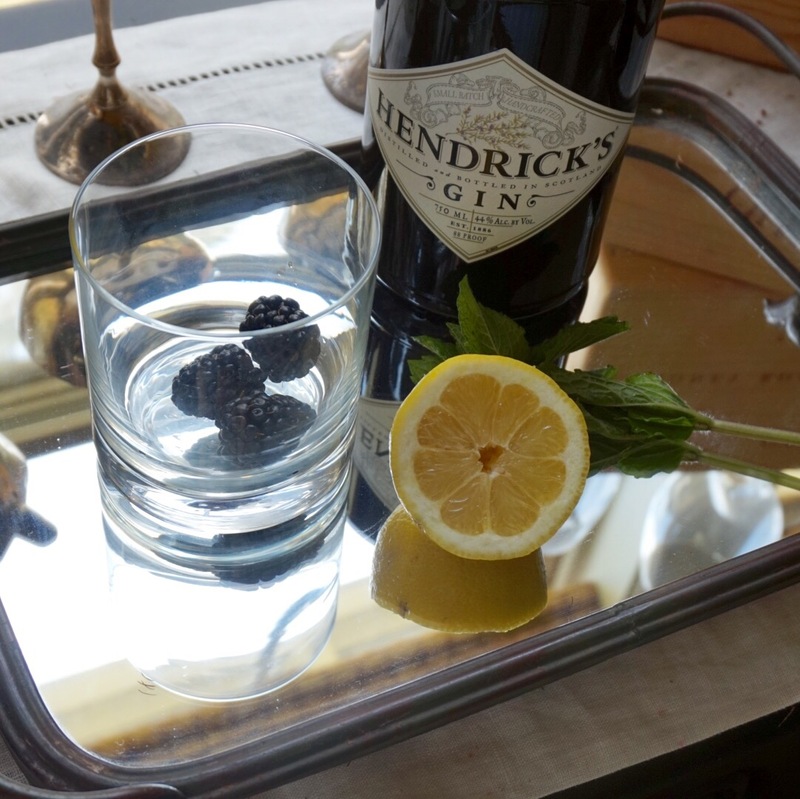 Fill glass with ice, followed by gin. 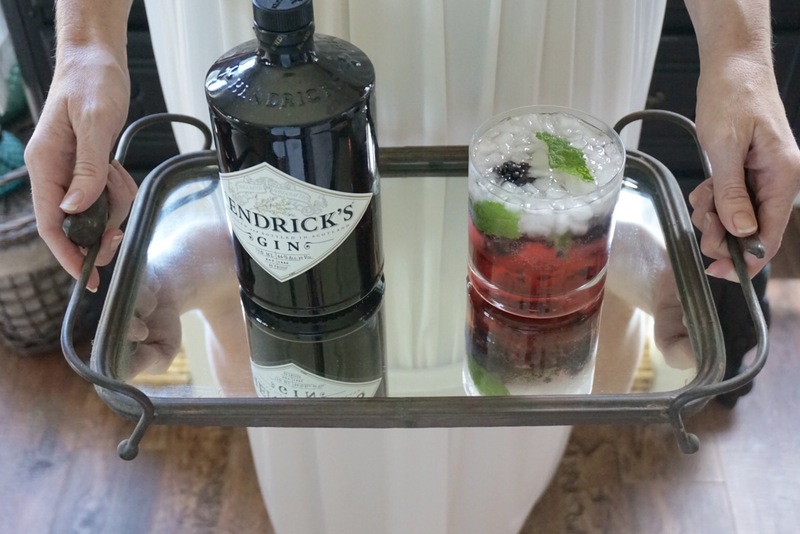 Top off with tonic water, stir, and enjoy.